Some “cheap” vehicles might become more troublesome than they seem. They may surprise you with hidden costs as time goes by. Avoid hidden costs by accessing free vehicle history, using any Indiana license plate number. The Indiana Bureau of Motor Vehicles can be requested for vehicle details as well. Visit the IN.gov Account Center page to request access to title, lien, and registration records. For inquiries, you may send an email or contact at 888-692-6841. Online registration can be done provided that: (1) the vehicle was bought within the last two months or 60 days, (2) and the title application form was submitted. Otherwise, you may register any car with older than 60 days purchase date at any BMV office. In the Lake and Porter counties, certain cars must be inspected for tampering and their emissions must be tested every two years. The Indiana Bureau of Motor Vehicles handles affairs related to Indiana license plates. The state plate’s official serial format has three numbers and three letters. Indiana is among the few states that require only one plate per vehicle unit. Request a replacement/duplicate license plate using the form. As stated in the form, plates that are damaged are not required to be turned over to the Indiana BMV. There are six (6) plate types available for your passenger car in Indiana. You may check the requirements for each plate selection and see if your vehicle qualifies for any of them. Generally, a license plate transfer from one vehicle to another is permitted by Indiana Code of 2017. Please visit the Indiana General Assembly website for more information about the legal clauses regarding plate transfer in Indiana. Indiana vehicle owners must get a copy of the state’s certificate of title and complete it to begin the titling process. Make sure that the details provided are accurate to prevent your application from being interrupted. You may need to sort out the paperwork of your newly acquired car with your seller. Upon acquiring the car, you’ll have a grace period of about a month and a half (45 days) to begin the title application, before the BMV start imposing penalties. Use the disclosure form to reveal your vehicle’s current odometer status. The Indiana BMV may ask you to present some documents from the requirements list, so be sure to keep them in mind and prepare them as you apply. Owners may receive tax credits if their vehicles have been purchased outside the state. Moreover, Indiana does not impose a sales tax on transfers of out-of-state titles. Any existing liens attached to a car must be cleared before being sold. If a car’s title is under the possession of a lienholder, you may fill out and submit the request form. Once this is done, the Indiana license office will notify you about its completion and provide the title certificate. You may request for a duplicate title online, by mail or over the counter, if the current title is lost or damaged. Visit the Titles page for more information about vehicle titles in the state. Buying a used car in Indiana? Don’t make a costly mistake. 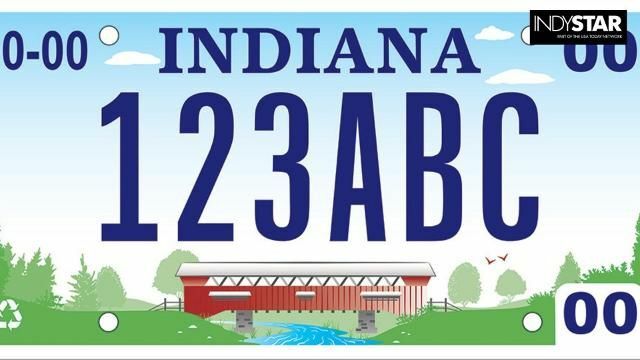 Run a Free License Plate Lookup for your Indiana-registered vehicle! Run a Free Indiana License Plate Lookup to uncover the full-story of your Indiana-registered vehicle.